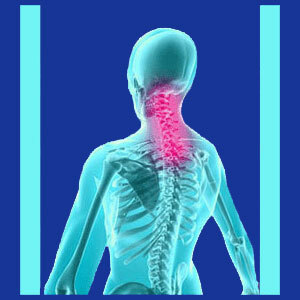 Finding a true and lasting cure for neck pain can be challenging. Misdiagnosis and symptomatic treatment are the main impediments to most patients’ attempts to enact true cures. However, there can be other hurdles to overcome in specific case profiles. 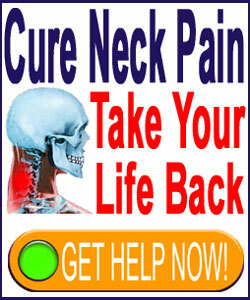 What exactly constitutes a cure for pain, as opposed to just temporary neck pain relief? Is there a difference? Why are cures so infrequent, forcing so many patients to suffer, despite active care, for decades of their lives? These are vital questions to ask and even more important to answer. In this crucial essay, we will answer these questions and provide a thorough explanation of why cures for neck pain can be so few and far between in the upper dorsalgia treatment industry. If you have been desperate for a cure, but have not found it, then this is the discussion you need to get involved in. A cure is different than simply finding temporary relief. A cure means that the pain is banished from your life, never to return. This is the desired goal of most patients with chronic neck pain symptoms and the reason they enter therapy. Unfortunately, it is also a very uncommon result of neck pain treatment. Cures provide freedom from pain, instead of slavery to the symptoms or to the need for regular treatment. Cures are enacted once and do not require any ongoing care whatsoever. Therefore, cures are more efficient in terms of monetary cost, time investment and results offered. Cures are better than simple pain relief in every measurable criterion. The downsides of cures are difficult to find in theory, since cures seem so superior to symptom-based care. However, the main negative attribute of cures is their rarity. So few patients find them and therefore we observe the utter dependence on ongoing methods of treatment throughout the back and neck pain sectors of traditional, complementary and even alternative medicine, with very few exceptions. A cure can only come about as a result of the successful application of a curative modality of care. This eliminates 95% of therapy options which can only be considered symptomatic treatment. A basic fact of neck pain care tells that very few treatments are even designed to provide the possibility of a cure in the best case scenario. In essence, these therapies are only designed to relieve pain temporarily and allow the underlying cause of pain to remain untouched long-term. If you rely on symptom-based care, you will likely never enjoy a cure. You will be considered statistically lucky if you can even benefit from adequate relief over an extended duration, as most symptom-targeting care tends to decrease in efficacy over time. Neck surgery is not inherently curative, but many procedures aim to resolve the underlying cause of the pain and therefore can be considered building blocks towards a cure. However, in order for the cure to work, the diagnosis must be correct, the procedure must be successful and various risks and complications must not ruin the outcome. Spinal decompression can be a curative modality of care for certain strictly defined diagnoses, such as cervical herniated discs, cervical degenerative disc disease and some types of cervical spinal arthritis. For indicated conditions, nonsurgical decompression offers the hope for a lasting cure without the need for surgery or any of the risks which accompany invasive care practices. Knowledge therapy offers the possibility for a true cure for specific types of neck pain that might have been mistakenly blamed on structural pathology, but are actually the results of regional oxygen deprivation syndromes. There are no risks, but many actual benefits to general health from this therapeutic path. Some specific types of neck pain can be cured through very conservative modalities, such as muscle imbalances being easily resolved using physical therapy. However, these exceptions are on a case by case basis and only apply to a minority of chronic pain sufferers. Always thoroughly investigate the accuracy of the diagnosis before accepting it. More patients fail to find cures or even adequate relief due to misdiagnosis of the source of their pain than for any other explanation. Just seeing a structural abnormality on an x-ray or MRI film does NOT make it the definitive source of your pain. Get a few diagnostic opinions before proceeding with any type of therapy. If you do need treatment and have proven the accuracy of the diagnosis, focus on curative methods of care when available. Remember that some curative methods might entail risks, so be sure to balance these against their potential benefits, as well as the specific prognosis for treatment given your individual case profile. Make your doctor commit to these predictions or find a new physician. We highly recommend our proven pain relief program, since it provides universal benefits for all types of pain. Our 3 tier approach prevents pain, manages pain that can not be cured and cures pain whenever possible. No one is left to suffer. You can access our program 24 hours a day worldwide for immediate help.